Is RV Water Safe to Drink? If you’re new to RVs, you may be wondering about the quality of the water coming out of your taps. After all, the water comes from a tank which isn’t vastly different from the ones used to store the grey water and sewage. Hardly a pleasant thought. So, is your RV water actually safe to drink? The good news is that, as long as the tank and system are properly cleaned and treated, tap water in the RV is perfectly safe to drink. However, if you’re renting an RV and don’t know the history of your water tank, bottled water may be a better option. As you can see, there is some work involved in maintaining a safe drinking supply in your RV. 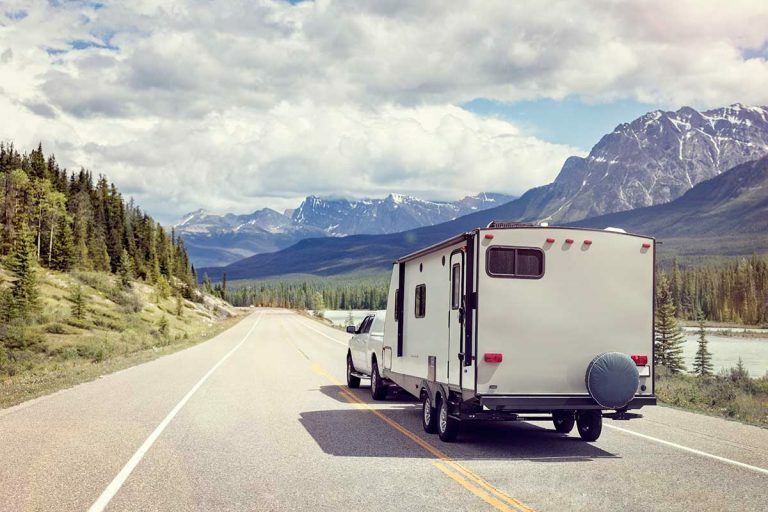 That’s why, in this post, we explain the ins and outs of RV water as well as some warning signs that your RV water is not safe. By knowing what is going on with your water supply and how to maintain it, you will keep your water fresh and safe. Where does the water in an RV come from? 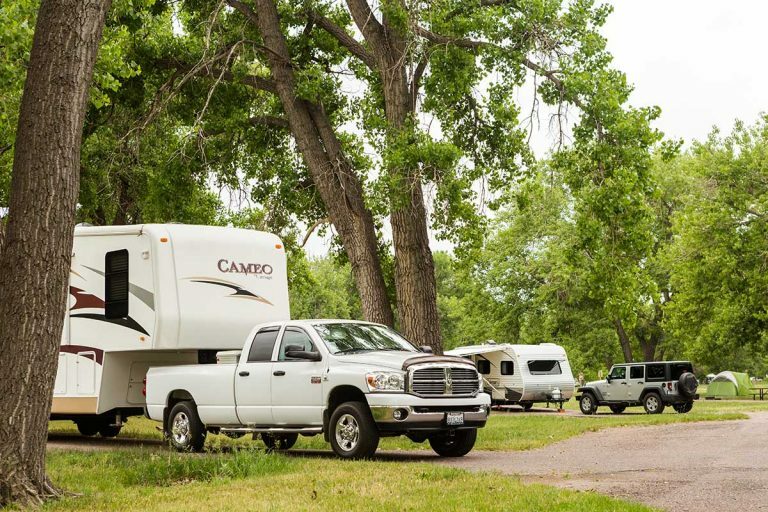 When using city water, you will connect a hose from the water source at the campground to your screw-on connection. By using an approved fresh water hose, your water will come straight from the source into your RV without any taste contamination. When camping somewhere that doesn’t have water hookups, you will have to rely on your RV water tank. 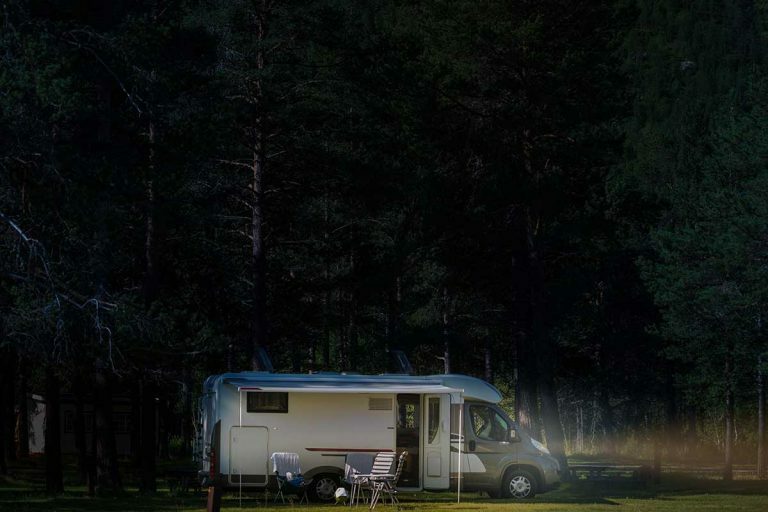 To fill your water tank, look for the “Fresh Water” connection on the outside of your RV. Some RVs use the same connection for fresh and city water, while others have separate connections. Of course, water is heavy, so make sure you are accounting for all of that added weight. Both systems use the pipes in your RV to transport the water to your faucet. That means it is important to maintain a clean water system, even if you do not use your RV water tank. Should you use a water filter on your connection? Yes – you should always use a water filter. Many times, campground-supplied water will have been chlorinated in order to keep it safe. Chlorine, however, can leave the water tasting and smelling like a swimming pool. A filter can remove those traces of chlorine, making the water much more palatable. And not only do these filters keep out bad tastes, but they can prevent sediments from making their way into your RV water supply as well. Some RV water filter will offer double cartridge filtration, using a carbon filter combined with a sediment filter. One popular filtration option is to buy a filter that attaches to your fresh water hose. This ensures that all of the water in your trailer has been filtered prior to entering your RV. The downside is having to remove and store the filter when not in use. Another option is to install a filter inside your trailer, under the sink. These units will filter the water right before it comes out of the tap, so any water leftover in the lines will be cleaned prior to drinking. Plus, you will not have to worry about storing the filter this way. No matter which option you choose, make sure to change out your filters regularly. Most RV water filters recommend replacement every 6 months. What is the RV water tank made of? As you would guess, RV water tanks are made of plastic. But plastics are a huge category spanning many different specific materials. Most RV water tanks are made of polyethylene. So, the question is, just how safe is polyethylene? The good news is, this ubiquitous type of plastic has been extensively tested for safety. And after all of that testing, no studies have shown it to be toxic. That means that polyethylene will not cause irritation to skin or eyes or when water from a polyethylene container has been ingested. Furthermore, there is no evidence that this substance is likely to cause cancer. How to keep the water system in an RV sanitized? Drain all of the water out of your system. Make sure to open both the fresh water drain and the low point drains to get all of the water out. When you are finished, close the drains. Mix 1/4 of bleach for every 15 gallons your fresh water tank holds and then mix with water in a 1-gallon container. Using a funnel, pour this solution into the fresh water tank. Fill your fresh water tank completely full of water. Open all faucets, hot and cold. Close the faucets after you can smell the bleach coming out of the faucet. Leave the bleach solution in your tank for at least 12 hours. Next, drain the system again and refill the fresh water tank with clean, safe drinking water. Now, open all hot and cold faucets and run them until you can no longer smell any bleach, even if that means having to refill your fresh water tank again. It is important to rid the system of all traces of bleach. Once you have completed all of these steps, your entire fresh drinking water system should be ready to hold drinking water. The bleach will have killed all bacteria and/or mold that was living in your tank. By flushing out the bleach, your system is now free of any harmful contaminants. What to do if the water smells? Any time you detect a bad smell coming from your fresh water tank, immediately stop using that water. This is a sign that your water system is growing mold or bacteria. Before using any water from your tank, follow the above steps to clean out your system. Do not consume any water from the tank until the water coming out is odorless. 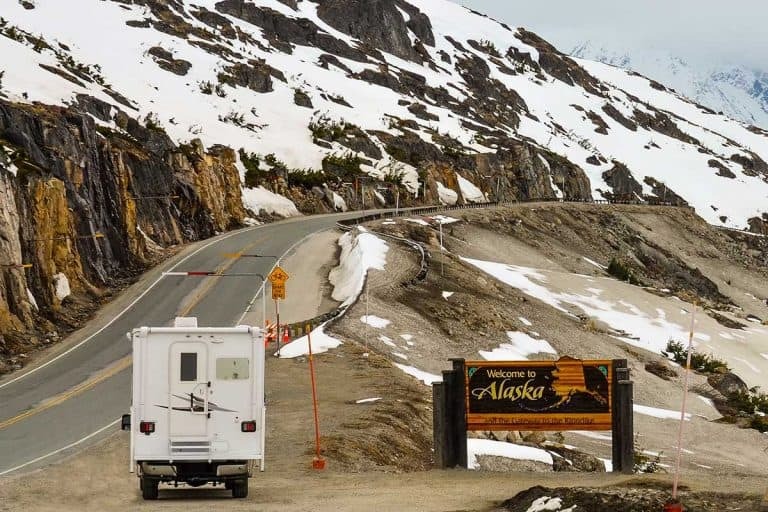 As you can probably imagine, rental RVs are often not treated right. 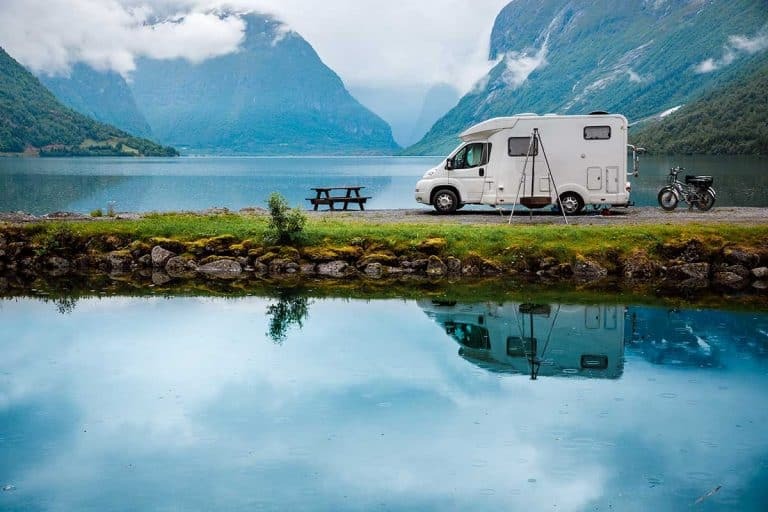 Those renting an RV are often untrained on the correct RV procedures, and those who own the rental RV don’t always properly clean the water supply before renting them out again. For this reason, we recommend bringing your own drinking water supply in a rented RV. That way, you know that the water you will be consuming is fresh and safe. Your health is too important to leave up to someone else! Can you still use the water to shower? You’ve gone to all of that work to create safe drinking water in your RV. Many people wonder at this point if it is okay to go ahead and use that water for showering as well. The answer is: Yes! Go ahead and enjoy that clean water supply as you bathe, just be sure to keep your shower as brief as possible to conserve your limited water supply. Enjoy Your Clean RV Water Supply! 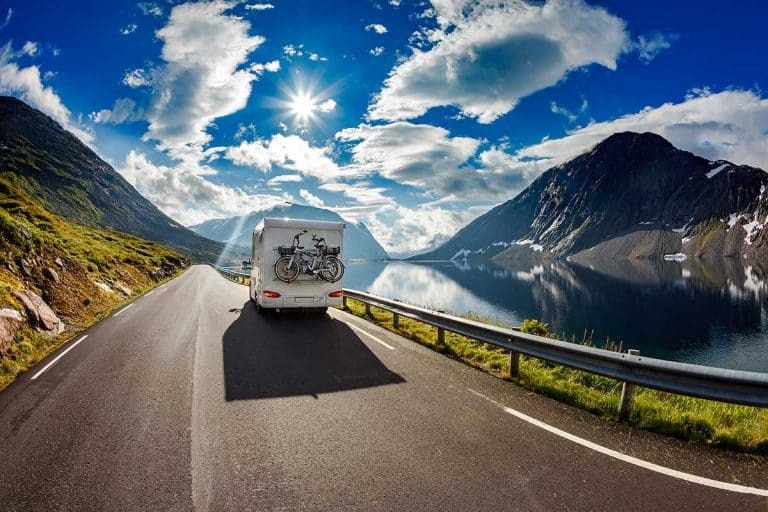 Now that you know how to maintain your safe RV water supply, get out there and enjoy your RV! 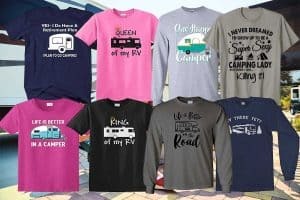 After all, that’s why so many of us love using our RVs – you get to enjoy the great outdoors while bringing along most of the conveniences of home. There is no reason that cannot include a safe drinking water supply. Next PostRV Rental vs. Car & Motels – Which Is the Cheapest Vacation? 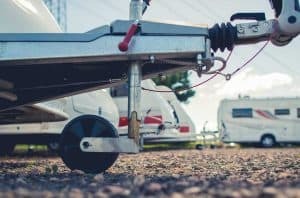 Should a Travel Trailer be Level When Towing?